Aluminum is considered one of the best materials in building items. As such, having an aluminum floor jack is one of the greatest desires for most people. Getting the best floor jack is paramount and in order to achieve this, there are a number of factors, which you should bear in mind. Anytime that you would go to the market to shop for a floor jack, you will find so many models and brands and this can be quite confusing. Every brand claims to be the best and for an ordinary consumer, this may be a great dilemma. There are different floor jacks on the marker, but the aluminum racing floor jack out from the rest. 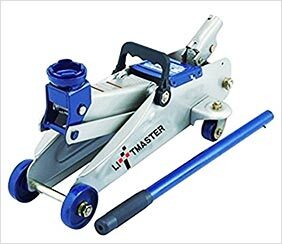 Whether you are looking for a vehicle jack for professional or personal use, you should find one that is made of aluminum. In most cases, you will find 2 ton and the 3 ton jacks, as the common options. You should consider the amount of weight that you intend to use the floor jack on, so as not to overload it and cause damages. It is also advisable to have floor jack stands as part of the supporting accessories for the aluminum Garage Jack. What’s The Best aluminum floor jack? The aluminum jack is one that can serve all your needs in the best way possible. Most of the high end jacks are made of aluminum and since they are quite many, we have picked the best options for. This should help you make an informed decision as to the specific aluminum jack you need. 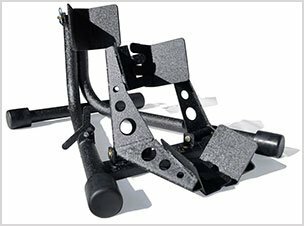 This is a well-built and professional 3-ton capacity auto jack for your lightweight car or vehicle. It has the capacity to handle a maximum weight of 3 tons and it is made of strong aluminum, making it sturdy and durable. The overall appearance of the Jack is quite impressive since it has a classy finish, which is highly resistant to corrosion. Generally, by virtue of being built of aluminum, it is very light and easy to move around in your garage. This floor jack weighs 56 pounds and is considered to be ultra-lightweight. 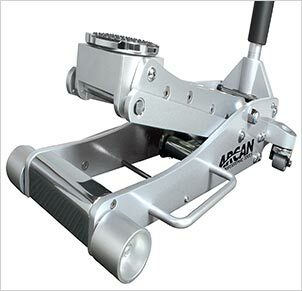 The Arcan 3 ton aluminum racing floor jack has a lifting range of 3.77 inches, with maximum height reachable being 19.3 inches. This makes it for lowered vehicles as well as the vehicles that have a higher ground clearance. The saddle on Arcan ALJ3T floor jack has an ample diameter of 4.52 inches, which will ensure that the vehicle being lifted is supported properly. Their saddle has a rubber pad, which seeks to protect the components of the vehicle from any form of damage when using the floor jack. This will also prevent any slippage. The 2-piece handle on this aluminum Garage jack makes it easier to store the jack once you are done using it. It will also provide a handle that is long enough, such that you would not have to bend too much when lifting the vehicle. There is a dual pump piston, which provides a fast-rising action. There is also a dust shield, which will prevent any form of contamination from getting to the hydraulic. As an enhancement to the safety features, there is a bypass and overload valve, which will prevent any use of the floor jack beyond the rated capacity. This will also prevent over extension of the pump handle. This Arcan 3 ton floor aluminum jack has a saddle, with a diameter of 4.52 inches, which is wide enough to provide exceptional support. The rubber saddle pad is meant to protect the vehicle and its components from any form of damages, denting or even marrying. With the dual pump pistons, you will enjoy the Quick Rising Service, which is a feature that facilitates fast rising action. There are an Overload and bypass safety valve, which will prevent over extension and the use of the floor jack beyond capacity. The 2-piece design of the handle is quite convenient as it snaps together quickly and can be detached for easier storage. If you are seriously contemplating to purchase the best floor jack, then the Powerzone 380044, should be top on your list. 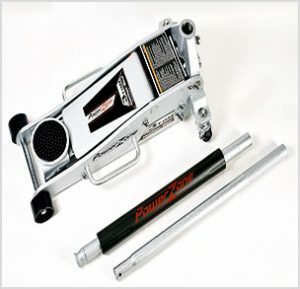 This is a floor jack that is made of aluminum and steel, which is a combination that enhances the strength and durability of this powerzone aluminum floor jack. It is also known to be portable, due to the aluminum element in it. 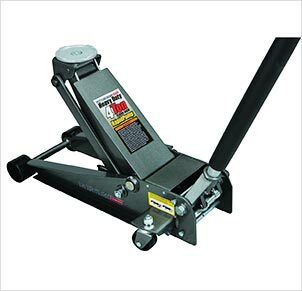 The Steel Garage Jack has the capacity to lift vehicles with a weight of up to 3 tons. The aluminum frame ensures that all the weight is kept down, while the steel lifting arm provides all the strength required to lift this weight. The jack weighs 59.2 pounds, which makes it quite mobile and convenient. With a minimum height of 4 inches, this may not be the best low profile aluminum jack as the ground clearance may not be adequate. 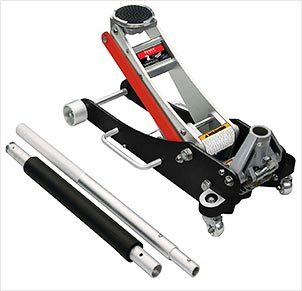 However, there are some models of lowered cars that can be lifted using this floor jack. It is quite affordable when compared to the other similar models on the market. The maximum lifting range is 18 ¼ inches and the hydraulic lifting mechanism will make it easier to lift the heavy loads to the maximum reach effortlessly. There is a safety valve that has been put in place so as to ensure that the floor jack is not overloaded beyond capacity. The lift arm is made of heavy duty steel and this will enhance the force and strength required to lift the load. With the dual pump mechanism, lifting the loads with this power jack is quite easy and fast. This floor jack is made of an aluminum frame and a steel lifting arm. The combination of these materials will ensure that the floor jack lasts for a long time and also provides sufficient strength. The safety valve is a feature, which is aimed at preventing loads that are beyond the rated capacity. This will prevent any damages to the vehicle and injuries to the people. 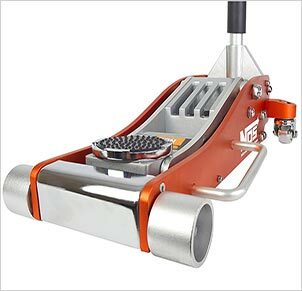 With the wheels and casters on this aluminum auto floor jack, you can move the jack easily and they also boost the stability. The rubber saddle pad plays a critical role to ensure that there is a secure grip, while also preventing and denting of the vehicle. With a convenient weight of 43 pounds, the OTC 1532 is an aluminum racing jack with the capacity to lift up to 2 tons of weight. The fact that it is constructed using aircraft grade aluminum makes it strong and durable, but ultra-lightweight. This makes it easier to move it around in your garage, without much difficulty. This aluminum floor jack has dual pump pistons, which will make it possible to get to the maximum height, with only 5 pumps. The minimum height of this floor jack is 3 ½ inches, while the maximum height is 18 inches. As such, this is an ideal low profile aluminum car jack which can be used on lowered vehicles. You can use the side-mounted handles to carry the jack easily around your workshop. The rubber saddle pad is removable, making it convenient as far as the storage goes. The rubber pad is aimed at protecting your vehicle and will also prevent any incidents slipping when working underneath the vehicle. The 2-piece handle snaps together fast and easy and gives you a 45 inch handle. This will add to the convenience of pumping the floor jack, without having to bend. It comes with a aircraft grade aluminum lifts, which will enhance the support of your vehicle load. The jack weigh 43 pounds, making them portable and easier to carry around. If you have lowered cars or the high performance racing machines, this would be the most suitable low profile racing jack to purchase. This is a transmission floor jack and can be ideal for transmission works. This is a great investment to have as part of your automotive tools. You will be able to achieve so much using the OTC 1532 floor jack. This floor jack weighs 43 pounds and comes with a set of floor jack stands, which weigh 11 pounds. Being made of aircraft grade aluminum, the jack is lightweight but quite strong and durable. The minimum height of the floor jack is 3 ½ inches, making is a convenient aluminum low profile floor jack for the high performance and lowered cars. The 2-piece handle is 45 inches long, when it is put together, and enhances the convenience of lifting your load. The rubber saddle pad is the feature that prevents any damage form of damage on the vehicle and will also enhance the contact to prevent slippage. Getting an Lightweight aluminum jack is one of the best decisions that anyone can make. With such a floor jack, you are sure of exceptional quality and stability. This is the case with the NOS NSJ0301 jack. The NOS is an acronym which means Nitrous Oxide Systems. This floor jack is made by Power Station, which is the same company that makes Arcan floor jacks. This, therefore, makes it the best floor jack in its category. The floor jack has the capacity to lift loads of up to 3 tons and the fact that it is made of aluminum makes it quite strong. It also has a very light weight of 58 pounds, which makes it easier to move it from point to point, without a problem. As far as the safety goes, there is a safety valve that has been installed in this 3 ton floor jack. This is meant to protect the floor jack from any cases of overloading beyond the rated capacity. There is a dual pump, which facilitates speedy lifting when using the flow jack. The minimum height is 3.75 inches, while the maximum is 18.125, which is quite impressive. There is a universal joint release mechanism, which will provide you will exceptional and accurate load control. The two piece handle makes it easier to store the floor jack and also use the jack. If you want to move it from one point to another, there are side handles, which will facilitate this. This is a low profile floor jack, thanks to the minimum height, which makes it possible to slide it under low profile vehicles. It has an exceptional finish, which is appealing and will not disappoint you when it comes to lifting vehicles with this type of floor jack. The saddle is padded as well as the handle so as to protect the finish of the vehicle from any damage during use. This Lightweight construction jack has an impressive lifting capacity of 3 tons, which is equivalent to 6000 pounds. It is made of aluminum, which accounts for the light weight of 58 pounds. The aluminum construction also makes it quite sturdy and durable. 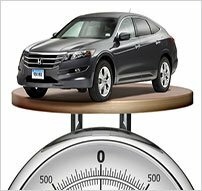 The lifting range is 3.75 to 18.125, which accommodates a wide array of vehicles including the low profile models. There is a safety valve on this floor jack and this will protect the floor jack from being overloaded when in use. The rubber saddle pad and the foam handle bumper will protect your vehicle from any dents and damages. In addition to this, the rubber saddle paddle will enhance the contact with load and prevent any cases of slippage. There are quite a number of features that are on the Sunex Tools 6602ASJ jack that makes it the best floor jack, in various aspects. This is a 2 ton aluminum floor jack and comes with a quick lifting mechanism. As such, the speeds of lifting your load are significantly improved. As a matter of fact, you will be able to get to the maximum height with only 5 pumps. This will save you so much time and effort unlike in other models. This aluminum service jack is made of aluminum construction, which comes with a number of benefits. For instance, the aluminum service jack is quite light and this makes it easier to carry it and move it around. In addition to this, the aluminum frame makes it strong and durable, which makes it a worthwhile investment. There are handles that are mounted on the sides and as such, it will be quite easy to make it easy to position the floor jack. On the rear side, the floor jack has ball bearing casters that swivel, while the front has extra wide wheels. These will make it easy to maneuver and also enhance the overall stability of the floor jack when it is supporting the loads. There are also thick frame side plates which are meant to enhance the overall strength and stability of this floor jack. As such, you can confidently work underneath your vehicle while supporting it with this floor jack. As a safety measure, this tool comes with bypass and overload safety valves. This will prevent any cases of over pumping or overloading the floor jack beyond the rated capacity. You will not extend the pump beyond the given parameters and this will enhance the longevity of your floor jack. This is one of the floor jacks that stand out from the others in so many different ways and would be a great consideration. You will be able to reach the maximum height, when using this vehicle lift jack, in 5 strokes on the pump. This is made possible by the rapid rise technology. 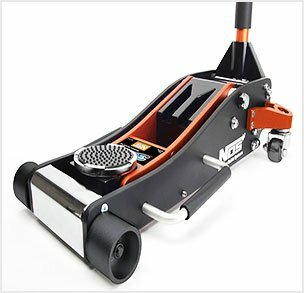 The extra wide wheels at the front and the ball bearing swivel casters on the rear end play a critical role in the position of the floor jack as well as enhancing the stability. While this floor jack weighs only 49 pounds, it is a 2 ton aluminum Garage jack, meaning it can support loads of up to 2 tons. The thick frame side plates enhance the overall strength, stability, and durability of this model. The Overload and bypass safety devices make this rank as the good floor jack in terms of safety. This will prevent over extension of the arm and the overloading of the floor jack. 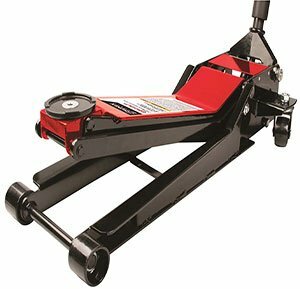 What to Consider When Buying a Floor Jack? If you have come this far and have attempted shopping for an aluminum floor jack, you must have realized that there are so many options on the market. 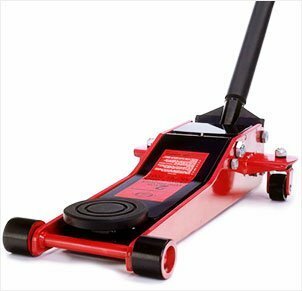 Here are some considerations that will serve as a guide when shopping for the best floor jack. 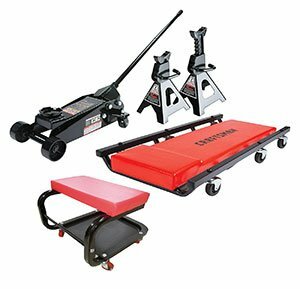 You should be very keen so as to ensure that the craftsman floor jack that you purchase has a weight capacity rating that is higher than the weight of the vehicle. You should not attempt to lift a 3 ton vehicle with a 2 ton jack, as this may turn out to be disastrous. All floor jacks usually have a capacity weight rating. Ordinarily, most floor jacks will either be 2-ton or 3 ton floor jacks. Most models have enhanced features for safety like the bypass and overload bypass, which prevents overloading of the floor jack. There some buyers who are attracted by the low price of floor jacks, but eventually, this ends up being quite costly. When you buy a poor quality floor jack, you will be forced to replace it after a few weeks, or even days. This is ultimately very expensive in the long run. However, when you buy a high quality floor jack, it may cost you initially, but this will serve you for a very long time without the need for replacement, which makes it affordable. The ground clearance is an essential element when it comes to the use of floor jacks. As such, when shopping for an high performance vehicle lift jack , you should consider the type of vehicle that you intend to use the floor jack on. The lowered vehicles will require a low profile aluminum jack. 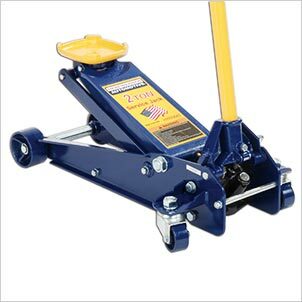 Hydraulic floor jacks tend to be effective as far as most cars are concerned. However, if you have high cars, the bottle jack is the best option. The purpose will also determine the type of jack to pick. 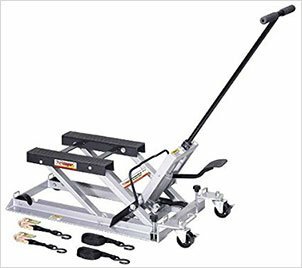 If you want a simple jack for tasks such as changing tires, the scissor jack can serve the purpose. How to Safely Use a Floor Jack? Use it on a Solid and Even Surface: Ensure that you have parked your vehicle on a flat and solid surface to prevent any cases of slipping or sinking into the ground. Engage the Parking Brake: Before hoisting your vehicle, you should ensure that it is on the parking brake. Use Wheel Chocks: Place wheel chocks behind the tires on the side that you will not be lifting. Test the Floor Jack: Use your hand or foot to check if the floor jack is working properly. You should ensure that it is rising and hold in place properly. 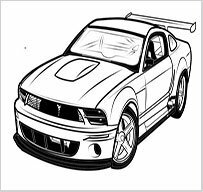 Identify Jacking points: Some vehicles have jack points marked out if you cannot find them, check the owners’ manual for the same. Jack up the Vehicle: Place the jack in the right place and hoist your vehicle. Lift the vehicle to the ideal height, depending on the task at hand. 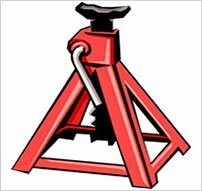 Use Jack Stands: Once the vehicle is up in the air, place the jack stands of the recommended capacity. Remove the Floor Jack: Finally, remove the floor jack by lowering it slowly and ensure the vehicle is stable on the jack stands. 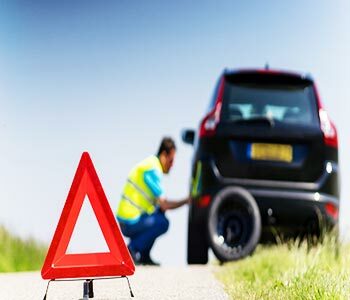 Nudge the vehicle lightly to ensure that it is stable, before going underneath. With these basic steps, you will be able to use your best aluminum Garage Jack properly, without compromising on your safety. It goes without saying that the aluminum floor jack is quite versatile and will be the best option. As far as the particular model, we highly recommend the OTC 1532 2-Ton Capacity Aluminum Racing Jack. 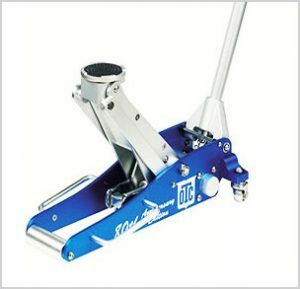 This is an aluminum racing floor jack and also comes with a pair of jack stands. Put all the factors, highlighted above, into consideration and you will be able to buy the best quality aluminum car floor jack For your garage or home use. We do hope that this guide will help you make an informed decision when purchasing your floor jack.